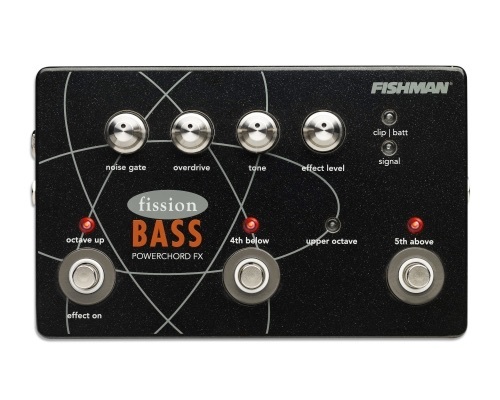 Fission Bass Powerchord FX Pedal lets any bassist lay down beds of power by adding stacked harmonies over their bass lines. Through an intuitive set of controls and footswitches, several combinations of octaves, 4th and 5th above the root note combine to produce powerchords or octave-up effects. 1Single 1/4 inch input with trim control accepts active or passive instruments.